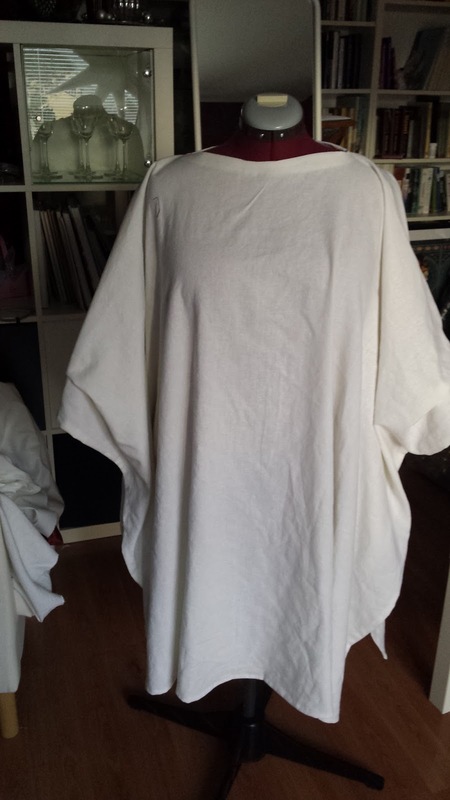 The Mon Mothma outer tunic was a bit of a challenge. Or rather I definitely overthought the construction. In the end went back and decided to do it as simple as possible. This is the original costume. Looking at it there are two features that I felt were really important, and both those features were confusing. 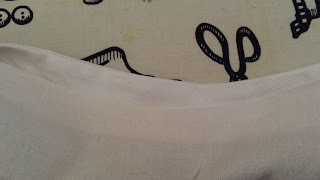 In the middle of the sleeve there is a front from the hem and to the fold, but it doesn't continue all the way up to the sleeve. 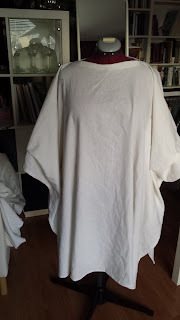 Then the tunic itself is clearly square, there are no rounded corners like on a poncho for example. The whole tunic doesn't have any visible seams, except for the small sleeve. That meant that I had to find a fabric that was wide enough to provide full length sleeves, even if I just folded the fabric and cut a hole in the middle. 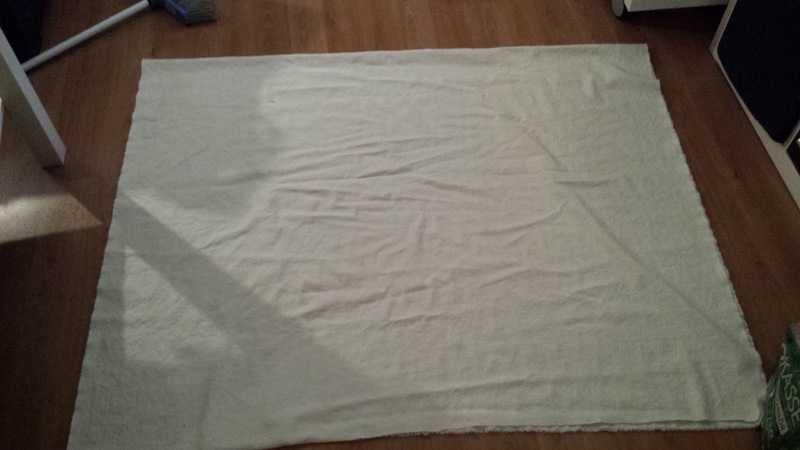 I used a wonderful linen/rayon blend, after turn in the washing machine it's wonderfully soft, with a texture of linen but not as many wrinkles as a pure linen. 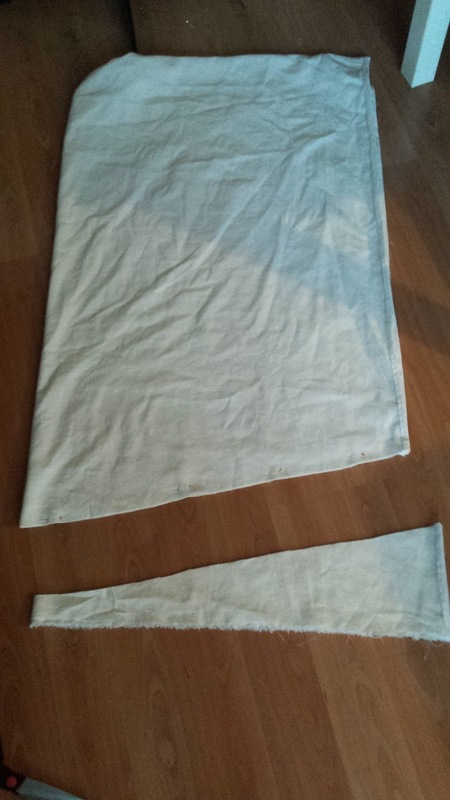 I started by simply folding the fabric in half. Then I folded it in half again, but in the other direction, and cut out an angular neck opening. The neck opening is in a diamond shape so no rounded corners. To get the visible seam on the sleeve I made a dart at the top of the sleeve and pressed it flat. The neck opening was strengthened with a piece of cotton tape. 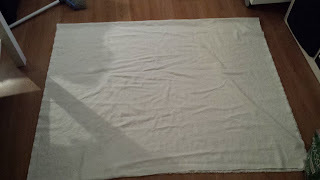 The big challenge was to get the hem straight. 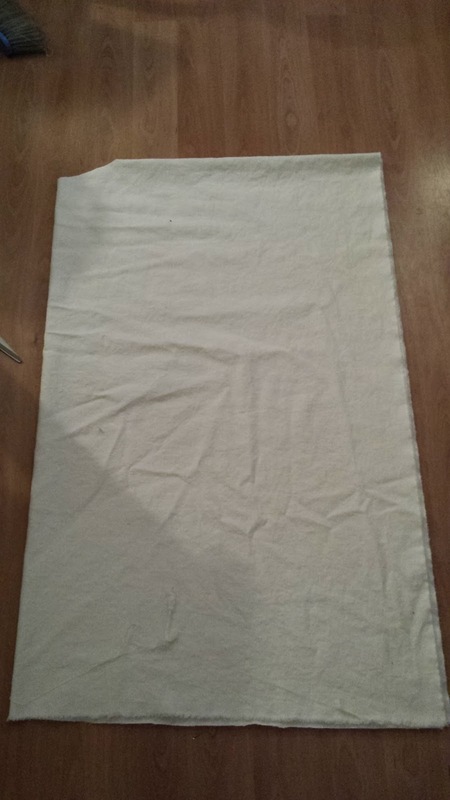 In order to look straight it needs to be shorter at the sides than in the middle though. 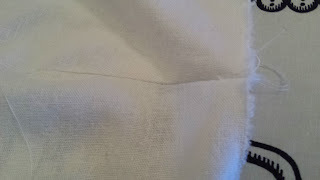 Then it was just to hem all the sides, make the fold in the sleeve and tack it in position.